It’s Valiant Efforts month two, looking back at all August’s releases as well as forwards through September, October, November…! Last month I caught you up on July’s issues; this month we published a big ol’ Valiant primer to help you get a feel for what the publisher is, was, and might be. 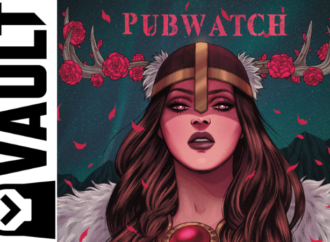 For this Valiant Pubwatch column I’m able to read and review in short every book that Valiant puts out per month, making it easy for you to pick up anything on the shelf and have an idea of what’s been happening. 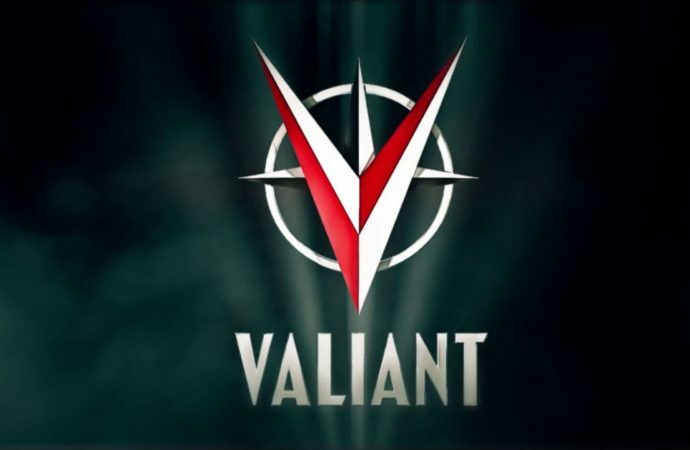 For other publishers’ output try our other Pubwatch columns, but for Valiant, a shared universe of superheroes, cyborgs, government ninjas and varied magical types, read on. 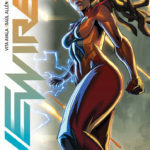 Important news: December’s Livewire miniseries from Ayala, Allén & Martín has been transmuted into an ongoing monthly book—four months before #1 even hits the shops. Fantastic! 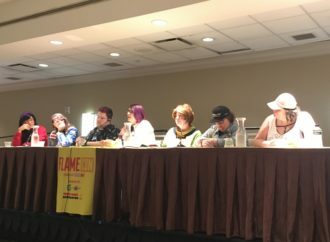 A top-tier Valiant art team and a vital (Vita-l!) narrative voice taking point on one of Valiant’s primary assets is a good thing for superhero comics. 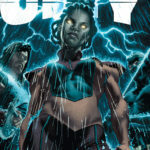 Along with Faith, Livewire is a genuine contender in the field of contemporary heroes—her power is control of, and absolute fluency with, technology—and her presence at the core of the Valiant Universe is well-established. It’s about time she led a book of her own. That Valiant editorial is prepared to look at the facts and see this says good things about its evolving direction. That Livewire’s defining cover stance is right out of an Agent Provocateur ad—and completely contrary to her character—says the opposite, but let’s hope it’s just a hangover and things will pick up on that front soon. Observation: Simon Bowland is a regular name in the lettering scene at Valiant. As a reader, I find his pages absolutely reliable—his sense of composition is pretty impeccable. 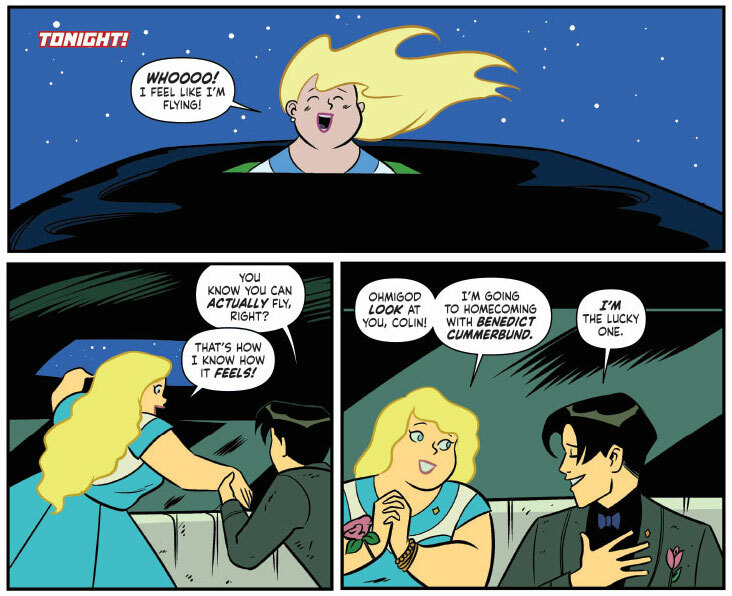 Check out the second panel of the Valiant High excerpt downpage: common artists’ advice is “don’t draw the first character to speak on the right, because that leaves the letterer to deal with appropriate placement of their bubble.” Colin is on the right and speaks first, but Bowland’s management of composition not only makes it seamless to read but also adds some urgency of atmosphere— which perfectly suits both the characters and their immediate context. Real pro moves. Up the Brits! This solidity of lettering is something that modern Valiant has over the original, 1990s iteration. Back then, though placement of speech bubbles was largely quite good, periods were unusually small making sentence breaks often hard to parse at regular reading speed. Preview: Faith’s September-debuting Dreamside mini has had its first five pages preview released, which io9 among other places is hosting for your pleasure. 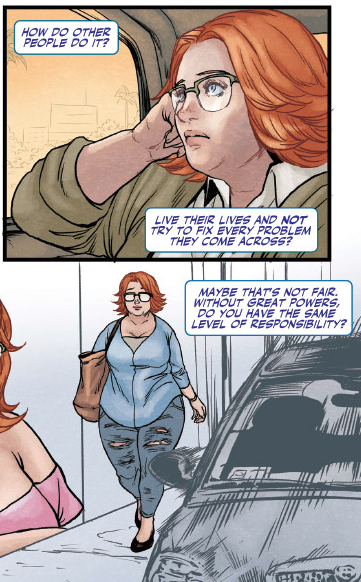 Those pages update you on Faith’s status following Harbinger Wars 2, so aren’t necessarily the best thing to be reading right now if you’ve been following Valiant’s summer event, but they make it clear that Houser hasn’t lost her touch with the character and have some great fashion choices from line artist MJ Kim. Dreamside is going to feature Faith teaming up with Doctor Mirage to protect Animalia—two women, one white and one Asian, adventuring for the sake of one black girl. Even if Mirage’s husband makes his ghostly appearance, that’s still a good gender ratio (and…he is very handsome). 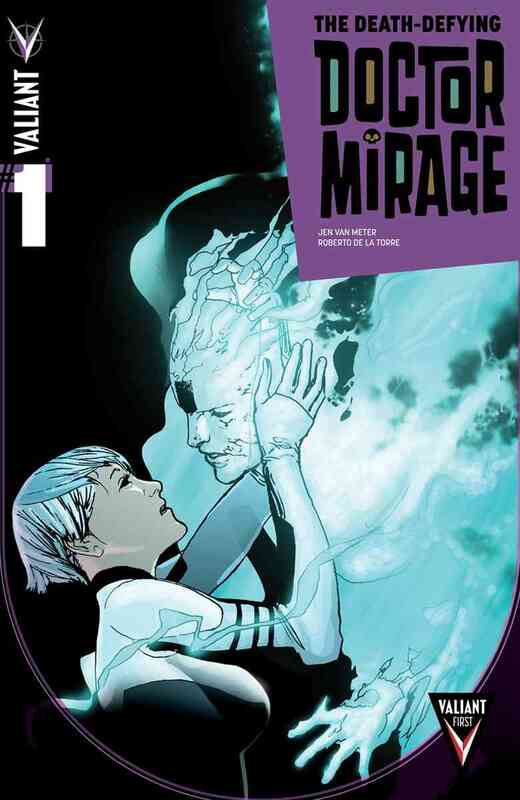 Doctor Mirage, aka Shan Fong (I’m not sure this name was coined by an Asian American and I’m under the impression that it’s a pair of surnames), has been seen in cameo appearances (for example, last month’s Ninja-K #9) since her own book had its second miniseries collection; Jen Van Meter wrote her two solo(ish) adventures, The Death-Defying Doctor Mirage and follow-up Second Lives, after the character was established as a tech-free ghostbuster in Justin Jordan and Patrick Zircher’s Shadowman. 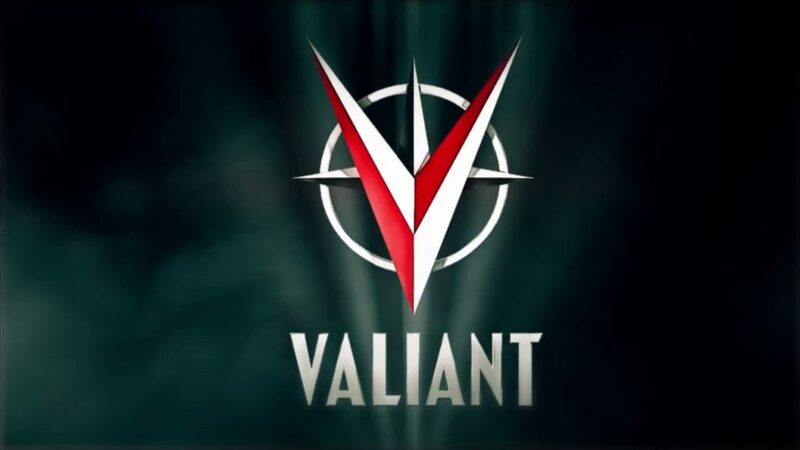 And I juuuuust got a press release saying Valiant is teaming with new Polish publisher KBoom to release their comics in Polish, in Poland, so more on that next month. Doctor Mirage is a Valiant reboot; the original 1990s version of the book followed a husband and wife team, one living and one dead. Under Layton and Chang’s creative partnership, the dead one was Hwen, the Doctor Mirage of the title, and the living one was his Afro-Brazilian, capoeira-expert sweetheart Carmen Ruiz. The premise was reimagined to retain the dead husband Hwen, but replace him as title lead with the living, capable Mrs D M. Van Meter’s initial miniseries follows Shan politicking with genteel, Shape-of-Water-y demons, being rude to evil men, and going on a magical quest for her husband’s soul through a very “classic years Vertigo”-y spread of afterlife landscapes aptly illustrated by Roberto de la Torre, David Baron and Dave Lanphear. One to pick up if you see it. Well, it’s over. The ending is better than the bulk of the event; Aric of Dacia, the timelost Visigoth Iron Man, comes around at last and promises Livewire, the leader of the psiot youth rebellion (the designated villain of the event/the Valiant U’s government), that he will help her fight the corrupt Man endangering the superpowered teenagers she’s dedicated herself to protecting. Said Man is symbolised by a fairly young woman in a military skirt, non-regulation hair, and a grazed knee, which, I gotta tell you, I don’t love. Nothing in this miniseries has explained who or really what the elf-child Geomancer to whom the military airbase answers is, but her part in the story is to repeat the alleged ethical dilemma “what about the guys on the Death Star who just served the lunches,” or whatever it was, while elsewhere Livewire is saying (paraphrased) “yeah uh what about Alderaan, blow up that canteen because we can’t get the Death Star otherwise.” But it’s not really an argument, or a debate, just a sort of relay. People Do Opposing Stuff. As with last month’s, this is a perfectly serviceable issue that passes the coffee-commute test. What is the coffee-commute test, Claire? It’s this: imagine you’re on your way to somewhere, and you’ve stopped for a coffee. Just a quick lil break in your journey as you catch your breath & gather yourself for the work or etc ahead. Can you read the comic as you drink that latte and feel satisfied, untroubled, pleasantly diverted? Can you then go about your business without being bothered by questions & objections? This issue answers “yes,” and that’s good. Aric of Dacia, back when he was just a normal Visigoth, enemy of all Romans, continues his quest to rescue a friend’s younger brother from said Romans. It ends with the boy preferring to stay on as an ambassador-student, leading to current-day Aric, in his sentient techno-suit amongst his fellow time-displaced visigoths (they watch tv & take selfies now!) having a bit of an old-man moment about how it’s scary when culture changes and thinking about suicide. Future events in the X-O book and Valiant U at large are teased in the final page, where the precognitive trickster Aric travelled with in his flashback appears to be consulting with the modern military leader Aric has just, in Harbinger Wars 2, pledged to oppose. Antonius Axia continues his mission to track down three legions’ eagles lost in Germany, by travelling to Egypt. His companion Achillia, a prize gladiator, chafes at his wilfulness as she fears Nero will renege on his promise of her freedom should Antonius fail (or appear to fail). They are in the library of Alexandria as it suffers a fire. I think last time I called the protagonist of this miniseries a Detectivist, which was wrong; he is an Ancient Roman citizen who calls himself a Detectioner. You can see how I may have confused the terms. The book continues to be far more readable than it seems like it should be, using world travel, corrupt politicking, historical motif and the navigation of consent between the mutually aroused but differently stationed to create sufficient vivacity in this world, as well as arranging a strong enough structure for this twenty-one page issue two to feel worth reading in its own right. It doesn’t seem to relate to the wider Valiant Universe in any way at all, which may be a blessing depending on your feelings about that sort of thing. Milligan is being remarkably un-extreme in this book, so far, which is interesting in itself. I still can’t find any care for Quantum & Woody, but I can appreciate that this issue is mostly quite good. 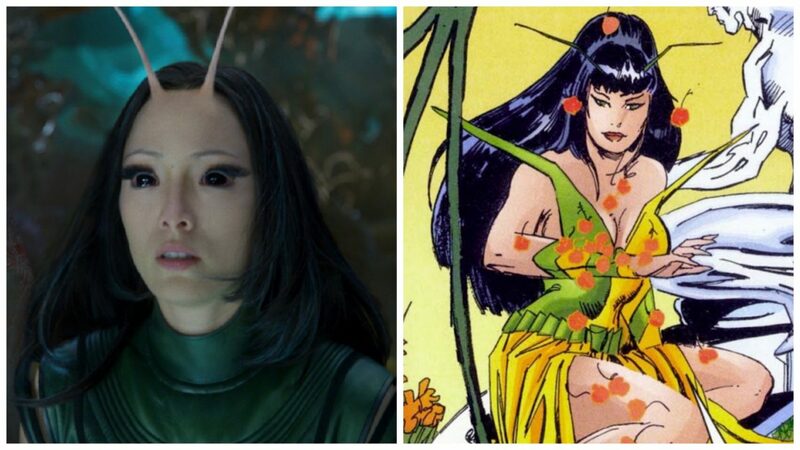 The two leads navigate a problem that superheroes and superhero comics have experienced many times before: We Woke Up And Some Things Were Different. They face this troubling situation head on, which is fresh enough to be something to recommend it on, and make some smart moves about how. Woody talks to his therapist about feeling worried about knowing that the “old him” wouldn’t ever talk to a therapist. Quantum finds himself doubting the prior reality of his wife, but approaches this from a current-reality position of loving her without being tragic or creepy about it (usually I’d expect that he’s going to have to “kill” her to “put things back how they should be,” which is so old as to be repulsive, but I don’t get the impression that’s the plan here. Watch this space, I guess). 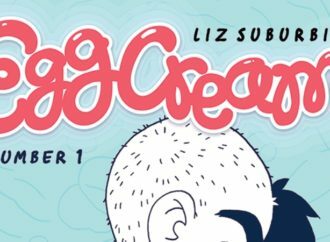 The only real problem with it is that it doesn’t read at all well as a single issue—it has no USP, it simply continues the story from last time and delivers you to “waiting for the next one” with all pleasantness. Oh, also, the army fights a giant monster that fell from space. Q&W will probably have to deal with that next time. An issue of two halves, both good: in the first, two women who are experts on magic (one is Jack’s lover and the other is Doctor Mirage) consult with one another regarding the fate of Jack Boniface. It feels good to see them speak authoritatively between themselves, sharing confidence in their respective fields. 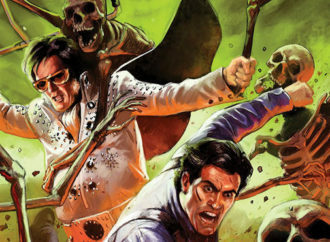 In the second half, Jack’s spirit, cast through time by Baron Samedi, reaches the root of his Shadowman legacy. Yes, it’s a “first Slayer” type origin story, but as the Shadowman name and power is a black legacy it feels much less…well, cheap, to see how this mantle was first worn by an ancient African. Jack winds up an invisible passenger attached to Standing Wolf, a hunter 42,000 years ago who lost his community to a soul-eating sorcerer and decided to find power for vengeance. Guedes painting is so precise and realistic that one presumes he must use posed actors for reference, but his characters have such warmth in their eyes and movement in their bodies there’s none of the usual deadening effect that heavily referenced art can make memetic. Standing Wolf’s companions are all alive on the pages until they are killed, which makes those deaths sting as they should and Standing Wolf’s decision to avenge them emotionally present. Guedes is really a treasure. You know when an American is writing an English character, because they do something irritating to express the culture. In the three preview pages provided for this issue on which he appears, Ninja-H (“ninjaahhh,” I suppose) says “me” instead of “my” eight times. “Me Da,” (“My Dad,) etc. Then he says “my” for “my” once, because it is hard to remember to perform an affectation, isn’t it? The rest of the issue’s script is of a similar quality, nothing ventured and nothing earned, although at least the solicit-promised glimpse at “Thatcher’s Britain” is a threat left undelivered. Art doesn’t fare much better; Larry Stroman is a great, expressive penciller, but god save him from shiny or hesitant colours! If it ain’t flats or something simulating ink wash, just let him go naked. PLEASE. As on last month’s Shadowman and last month’s Bloodshot Salvation, Doug Braithwaite provides apparently uninked pencils for the final issue of Bloodshot Salvation (“What’s Bloodshot Salvation,” you cry? Check out the last section of this Pubwatch!). Looking at his ComicVine profile, Braithwaite seems to have been a regular at Valiant since the launch of its current iteration but unusually he was also a contributor to at least one Acclaim-era Valiant book. A legacy presence! Up the Brits, again! 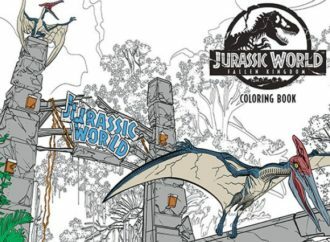 While reading this issue, pay admiring attention to how colourist Jordie Bellaire deals with the rough texture of a pencil line, as well as Braithwaite’s communicative ability to draw facial expressions. The second trade collection of what should, ultimately, be three volumes of Bloodshot Salvation. It’s not a great read on its own; it is very definitely the second collection. Just a part of a longer story, with no internal structure of its own outside of the pacing of the individual chapters (originally issues). It wasn’t written “as a volume”—it is the middle section of a serial narrative of a certain length. 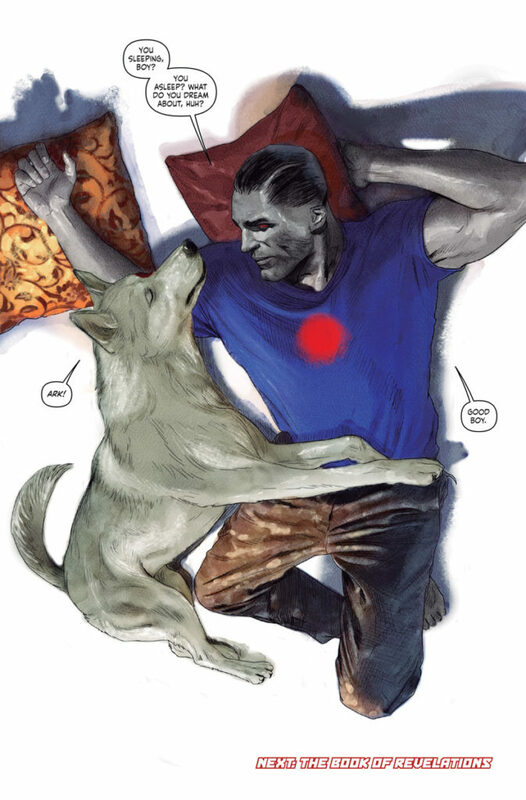 This book features three issues of that ongoing story, and one stand-alone story about Bloodshot’s dog in World War One. The ongoing story is about Bloodshot, a mercenary full of nanites, having a baby with his wife. Nanites are tiny robots that let a writer do basically anything. During this part of the story that baby is in danger as she is also full of nanites (from… the sperm? I guess? Computer effluvium! ), so Bloodshot makes a deal with the voodoo loa Baron Samedi. He will kill a mystery man in the future in exchange for his child’s life. Samedi hangs out in Deadside, a Valiant spiritual landscape that features in a lot of books; Samedi himself is turning up a lot more than one might expect. This volume includes the excellent “experimental” issue seven, which I reviewed here. 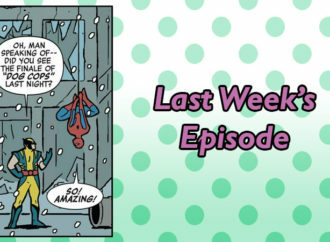 The dog story is the final issue collected, and clearly doesn’t come chronologically. 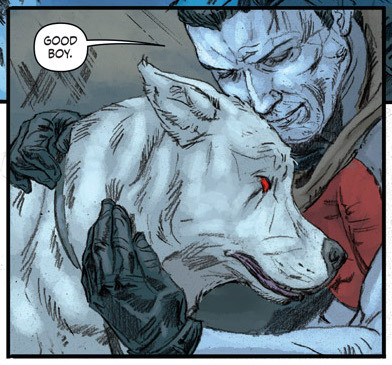 The framing device is Bloodshot having a relaxing nap with his fluffy dog; why you would cut that in with “Bloodshot desperately tries to save his dying baby” I do not know. Within the frame, it’s a pretty decent World War One story which also happens to feature well-behaved zombie dogs that can read.